focusing on finding the right balance given the tough conditions prevailing in the market place. The USL Diageo combine is the biggest alcobev company in India and they are making a strong emphasis to grow from strength to strength. While the popular brands continue to grow it is the premium brands that bring in the profits. United Spirits Ltd (USL) will continue with the popular segment consisting of mass or value brands like Bagpiper, Director’s Special and Haywards whiskies using franchises for that business in some states to focus more on premium brands. Given the tough conditions in some states other companies too follow a similar strategy. Around 59% of volumes still come from the popular segment and franchising is a part of United Spirits’ strategy of selective participation. are in the prestige and above segment, Kripalu said. USL’s popular segment consists of mass or value brands like Bagpiper, Director’s Special and Haywards whiskies. Diageo is a global leader in beverage alcohol with an outstanding collection of brands across spirits and beer. These brands include Johnnie Walker, Crown Royal, J&B, Buchanan’s and Windsor whiskies, Smirnoff, Ketel One and Cîroc vodkas, Captain Morgan rum, Baileys liqueur, Don Julio tequila, Tanqueray gin and Guinness beer. 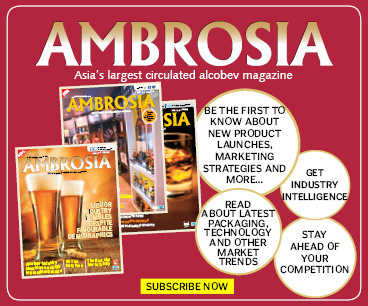 Two policy developments during the year – demonetisation and the judicial ban on the sale of alcohol along national and state highways – adding to the introduction of prohibition in the State of Bihar, created a volatile and tough environment for alcobev companies, including ours – but, I believe we have outperformed competition in this challenging environment, said Mahendra Kumar Sharma, Chairman, in a letter to shareholders. We have also performed favourably compared to most other fastmoving consumer goods (FMCG) peer companies. We will continue to build on this momentum. to further improve financial performance by optimising on total debt and financing costs. strategy, brand portfolio and investments, compliance standards, governance and financial/operational control mechanisms, talent development, environmental footprint and sustainability efforts and much more, to those of Diageo’s standards globally, to pursue greater integration with the parent, in true spirit of interdependence. We now identify and adhere to the Diageo ethos more closely than ever before, even while we build on the positive aspects of our legacy, including our understanding of the Indian market, consumer franchise of our brands and wellestablished distribution network. No stone has been left unturned, and no effort spared to examine every brand, every assumption, every process or control and much more, in our quest to become the best performing, most trusted and respected consumer products Company in India. interventions, out-of-the-bottle thinking and employees rallying together to mitigate these risks as quickly and effectively as possible have helped us survive and grow in this tumultuous year. Prestige and above segment, which grew net sales 14% during the year. Our renovated brands, McDowell’s No. 1 whisky net sales grew 8%, Royal Challenge grew 16% and Signature grew by 29% in this year, gaining market share as well. The Scotch category also grew net sales 32%, driven by Johnnie Walker, Black Dog, Black & White and VAT 69. Popular brands to local partners to improve operational and cost efficiencies. Packaging Centre at Kumbalgudu will more fully serve our innovation agenda, going forward, Kripalu added. We only do business the right way. We strengthened our compliance and governance norms this year with the introduction of the Diageo Know Your Business Partner Programme, a more thorough due diligence of our business partners, he pointed out to shareholders. underpin our entire business value chain, as well as our relationships with all our stakeholders, including our employees and the community at large. Road safety and anti-drink driving are central to our strategy to address alcohol harm and promote responsible consumption. Our signature ‘Diageo Road to Safety’ programme, now in its third year, is executed in partnership with state governments and reputed not-for-profit organisations. In February this year, we were proud recipients of the ‘National CSR Excellence Award 2017’ for this campaign. traffic officials in road safety capacitybuilding, along with 6,000 commercial vehicle drivers. FY16 reached 2.8 million citizens through its network of Radio, TV and Digital. Till date, the campaign has garnered over 3 million pledges in support against drunken driving. Citizens were encouraged to always have a ‘Designated Driver’ and to ‘Never Drink & Drive’. Campaign ambassador and youth icon, Virat Kohli together with leading celebrities Chris Gayle, Karisma Kapoor and Gul Panag amplified the message of never drinking and driving. commercial vehicle drivers is being rolled out across 3,200 Essar Oil’s retail outlets on the state and national highways. Moving forward, I see these values-led and value-creating relationships propelling our growth even more appreciably forward. We are part of something bigger, and we are certainly proud to have become an integral and valuable part of Diageo. Strong market share gains achieved during the year as a result of renovation of key brands – McDowell No. 1 Whisky, core variant renovated in November 2015 grew by 8%. Signature has grown almost 29% and Royal Challenge net sales grew 16% post renovation. whisky with honey flavour, and also introduced our premium Captain Morgan Original Rum to meet the evolving desires of rum connoisseurs. gift packs, as evident in the fact that they were happy to pay the premium for the beautiful packaging that they were proud to gift to friends, family and business associates alike. 2,000 DIY cocktail recipes, to enthusiastic consumers ready to play host at parties. Posted strong 43.5% volume share in the categories in which we operate (including wine and flavoured spirits). P&A represents 41.13% in volume and 60% of the overall business (net sales). We are now fully aligned to Diageo’s commercial capability standards with an overall ‘stable’ rating and best practice showcase in certain criteria. This is a significant improvement from the past year. These standards help benchmark selling capabilities across the world, including Customer Planning and Performance Management, Outlet Execution Standards, Rewards & Recognition and Commercial Scorecards. Deployed a fit-for-purpose model to optimise our Popular brands business. In certain states such as Andhra Pradesh, Puducherry, Goa, Andaman and Nicobar and Kerala, we believe that other local parties are better advantaged to maximise value of our popular brands and have appointed franchisees for these brands through a fixed fee model. by portion in any partner restaurant or hotel across the country. FY17 – the highest ever till date. year ` 82,482 million). Sales volume of the Company’s brands in the ‘Prestige and Above’ segment grew 7.7% in the financial year ended March 31, 2017 and stood at 37 million cases (previous year 34 million cases). Net sales of the ’Prestige and Above’ segment grew 13% and stood at ` 49,660 million net of duties and taxes (previous year ` 46,013 million). The ’Prestige and Above’ segment represents 41% of total sales volumes and 58% of total net sales with 4 basis points and 5 basis points improvement respectively compared to previous year. growth path, estimated to growth at 3.1% in 2016 against 3.2% in 2015. With estimated growth of 6.3% in financial year (FY) 2016-17 (against 6.7% in the previous year), the emerging and developing Asian countries were the key contributors of the global growth, led by India and China. The year gone by was challenging for the Alcobev industry. Industry growth was pulled down by several factors during the year under review, and as a result, liquor consumption remained by and large flat. Consumption of Whisky was estimated to grow at 1.15% for FY17 while Spirits remained flat. Bihar, the fourth largest state by population, went dry in April, impacting the overall growth for the year by ~1.5%. The supply in Punjab was disrupted for a month due to procedural technical issues. Significant rise in tax had put the burden of overall cost on states like Andhra Pradesh, Telangana, Karnataka and Maharashtra. that over time this supply will be replaced by alternatives. India is one of the largest markets for spirits globally. Approximately 6% of the global alcohol beverage growth is driven by our country. Going ahead, almost 11% of the global spirits growth is expected to come from India. Despite being a country with a population of about 1.3 bn, of which about 58% lies in the age group of 25 years or above, India’s per-capita consumption of alcoholic beverages stands at approximately 4 litres per annum, which is quite low compared to various other developing countries where per capita consumption of alcohol exceeds 10 litre per annum. is also strategically focusing on Prestige and above brands. The Company is constantly working on renovation and innovation of its brands. To emphasize more on the same, the Company has chosen purpose-led marketing platforms and occasion driven special packs. by April 1, 2017 to continue until their permits expire or until September 30, 2017. As a result, nearly a third of liquor outlets will be impacted and migration of these could take time. The resultant disruption will impact the revenues of liquor firms. This ruling will lead to short-term disruptions as liquor vendors relocate, although it is unlikely to significantly impact medium to long term growth prospects for the industry. Under the GST regime, liquor is excluded from the GST net. Undenatured ethyl alcohol, which is a key ingredient for the spirits industry, has been kept out of GST. GST rate on molasses has increased by 10% to 18%, whereas the rate on new packaging materials has increased by 6% to 18%. The general tax on services has increased by 3% to 18%. As a result of this new regime, the alcobev manufacturers will not get input credit on all input taxes in the supply chain. This is likely to have an unfavourable impact on margins. The Company will continue to work with the central government to mitigate this impact, and will approach the state governments for appropriate price increases. alternative sources such as bio-waste and feedstock (wheat, straw, corn straw, rice straw, etc). Realisation of these efforts would help improve availability of ethanol and stabilize prices. The Company’s portfolio includes brands such as McDowell’s No.1, Royal Challenge, Signature, and Antiquity, among others. Your Company also imports Smirnoff and Ciroc in India. The is a subsidiary of Diageo plc – a global leader in beverage alcohol with an outstanding portfolio of brands across spirits, beer and wine categories. Pursuant to its acquisitions in 2013 and 2014, Diageo plc has a 54.8% shareholding in your Company, making India one of its largest markets. The Company has 18 brands in its portfolio which sell more than a million cases every year, of which 4 brands sell more than 10 million cases each annually. The Company exports to over 37 countries across the globe. With its 60 manufacturing facilities spread across states and union territories in Indian and also its presence through franchisee partners in other parts of countries, the Company not only ensures faster turnaround of products but also minimizes risks related to local states’ policy changes. Similarly, strong distribution ensures continuous supplies to all key markets, as well as reach to all of the 81,000 retail outlets. which will help attract new consumers and drive future growth. It has been the Company’s endeavour to strengthen and accelerate its core brands through continued investment, to win across each of the 3 India’s – Affluent, Middle and Aspiring. Renovation and rejuvenation of the existing brands is another key aspect of this strategy, which also involves innovation and introduction of new to market brands. processes thereby right sizing the Company for future growth. 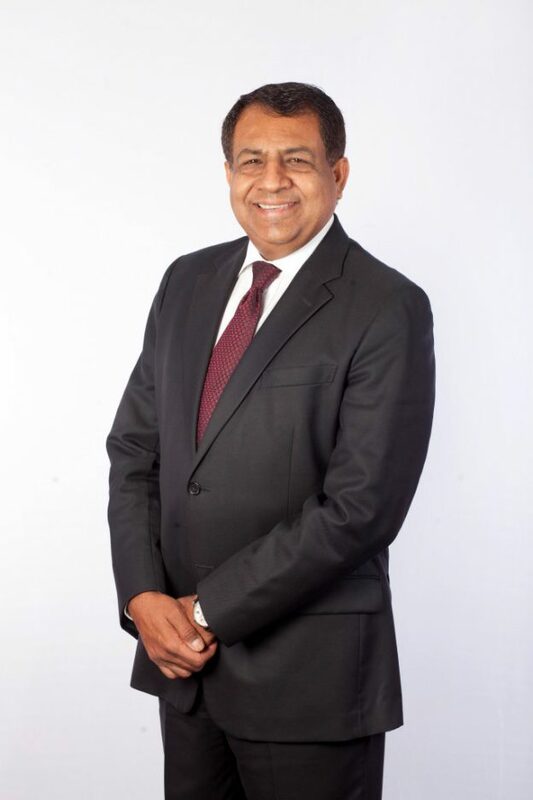 Operating model changes through Franchising During the year under review, in line with the Company’s approach to selectively participate in the popular segment, the Company has entered into agreements to franchise selected, mainly Popular segment brands in Andhra Pradesh, Goa and has moved to a complete franchise agreement for all your Company brands in Kerala effective 1 January 2017. The Company has entered into additional agreements to franchise popular segment brands in Union Territory of Puducherry, Union Territory of Andaman and Nicobar, Chandigarh and Rajasthan effective April 1, 2017, in Madhya Pradesh, Himachal Pradesh, Jammu and Kashmir and Delhi effective 1 May 2017 and in Sikkim and Uttar Pradesh effective from June 1, 2017. The individual agreements are for between 3 to 5 years. The franchisees will be responsible for manufacturing and distribution of the franchised brands in their respective states on payment of an agreed royalty fee which will be accounted as part of net sales. These changes will allow your Company to further improve it’s operating model and focus the business on the biggest profitable growth opportunities. Volume and net sales for these franchised brands accounted for 10.3 million cases and approximately ` 6,400 million net sales in the full year ended March 31, 2017.
in the Indian alcobev industry, with an outstanding portfolio of reputed brands across key categories and multiple price points. The Company has successfully improved both top line and operating profit in a highly regulated and competitive environment, while further strengthening its core brands to leadership position across all segments. The company’s performance in the popular segment reflects its prioritized geographical participation strategy, while its double digit net sales growth in the “Prestige and Above” segment clearly endorses the success of its premiumisation strategy. the one-off impact volumes were up 1% with net sales up 8% despite a subdued economic environment mainly impacted by demonetisation and the run up to the highway ban. Black & White and VAT 69.
upgraded the Long Term Rating from “A+” to “AA” with positive outlook, while the Short Term Rating was reaffirmed at “A1+” which is the highest rating. These improved ratings will enable the Company to access more economical sources of debt leading to lower interest cost and increased shareholder value. While Diageo has embarked on the right path to growth and profitability, an improved political and business environment, with a global recovery could see the company grow from strength to strength.